Kenai Alaska Fishing With The Fish Magnet! Just wanted to send you a short note to thank you for the hospitality you showed my father and me last weekend. Although we didn’t get a chance to fish with you, I had a great time at your house the night before we fished the Kasilof. 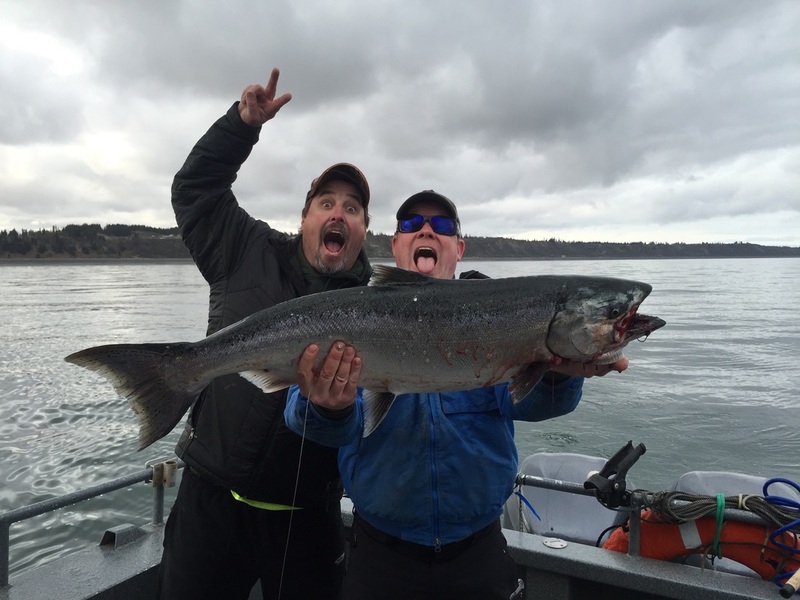 By not taking us fishing when there was little chance of catching a fish on the Kenai, you proved that you truly wanted us to have a good time at the expense of day’s income for yourself. We both were very impressed by that. In addition to the good fishing, wildlife viewing and terrific scenery, we experienced during out ten days in Alaska, we truly enjoyed the friendliest people we met. You can surely place yourself at the top of that list. After you arranged our trip with Joe Szezesny, you could have wished us well and sent us on the way. But you went out of your way to make us feel welcome in your house with your friends. Thank you for taking me out on your boat. Thanks to you I’m addicted to fishing. My Mom smoked most of my King when I got back to Juneau. I went camping at Eagle Beach and caught 3 Dolly Varden with my friend Vincent. I can’t wait to see you next summer and see your new fishing dog. Thanks again. Say hi to Greg for me and Hook. -Jimmie PS: I drew a picture of your boat for you.